Oswald Avery was a scientist working at the Rockefeller Institute for Medical Research from 1913 onward. In the 1930s, he concentrated his research on a bacterial species called Streptococcus pneumoniae. In the 1940s, using these bacteria, he devised an experiment that proved that bacteria without capsules could be "transformed" into bacteria with capsules by the addition of material from a capsulated strain. The discovery was called the "transforming principle" and through his experiments, Avery and his co-workers found that the transformation of the bacteria was due to DNA. Previously, scientists thought that traits like this were carried by proteins, and that DNA was too simple to be the stuff of genes. Avery's work after joining the Rockefeller Institute was focused primarily on the capsule of different strains of Streptococcus pneumoniae, as he thought the capsule was important in the disease that the bacterium caused. In fact, he found that strains without a capsule were harmless. He also noticed that in England in 1928 [see ref 1 para 3] another scientist, Frederick Griffith, had managed to produce disease in mice using a live non-capsulated strain. Griffith's mechanism involved injecting mice with a live non-capsulated strain as well as a heat-killed capsulated strain. Using Griffith's work as a basis, Avery decided to figure out what was passing into the harmless non-capsulated strain from the dead capsulated strain. In the early 1940s, [ref 2 para 1] Avery and his colleagues Colin McLeod and Maclyn McCarty first replicated Griffith's achievement in transferring capsule-forming ability from a dead capsulated strain to a live non-capsulated strain. Then they purified the substance that was driving the transformation. Through smaller and smaller dilutions, they found that only 0.01 micrograms were enough to transform their live cells into capsulated cells. Avery and his colleagues then went about assessing the characteristics of the transforming substance. They tested its chemical make-up, such as its phosphorous content, which is present in DNA but less so in proteins. They also checked the substance's ultraviolet light absorption characteristics. 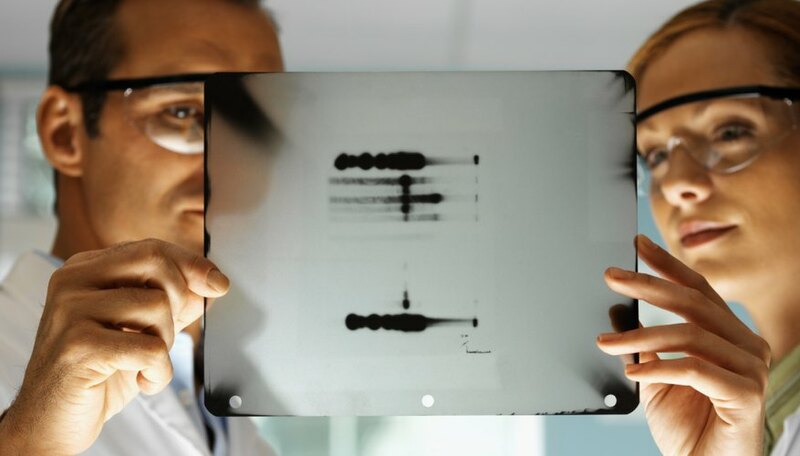 Both of these tests pointed towards DNA being the transforming substance, and not protein. Finally, they treated the substance with enzymes that break down DNA called DNAses, enzymes that break down RNA called RNAses and enzymes that break down proteins. The substance also had a molecular weight consistent with DNA and reacted positively to the Dische diphenylamine test, which is specific for DNA. All of the results pointed towards the transforming substance being DNA, and Avery and his co-workers published their discovery in 1944. 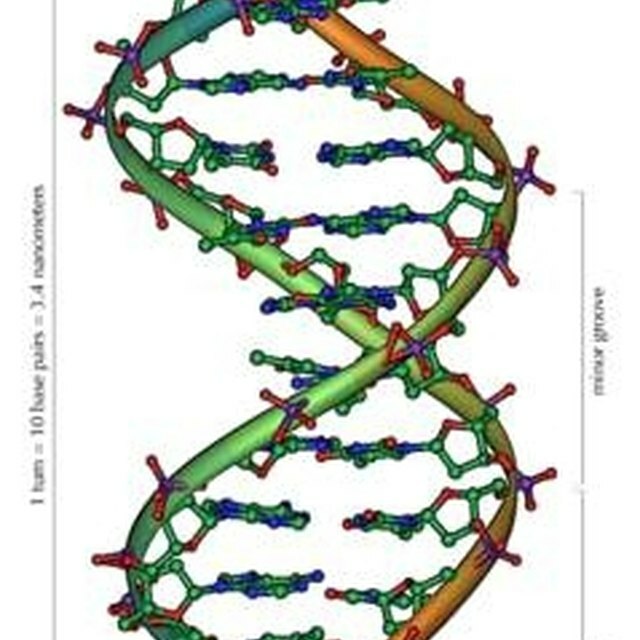 Geneticists of the time thought that genes were made of protein, and therefore that information was carried by protein. Avery and his colleagues used their experiment to posit that DNA was the genetic material of the cell, but also noted in their paper that it was possible that some other substance attached to the DNA, and not detected by their experiment, was the transforming substance. By the early 1950s, though, their findings were borne out in more studies of DNA, which confirmed that DNA was in fact the informational molecule of the cell, allowing for structural and biochemical characteristics to be inherited from generation to generation. O'Keeffe, Jillian. "What Contribution Did Avery Make to the Discovery of DNA?" Sciencing, https://sciencing.com/contribution-did-avery-make-discovery-dna-12694.html. 25 April 2017. How Did Scientists Discover That Genes Are Made of DNA?